[126 Pages Report] The process analytics market size is expected to grow from USD 125.6 Million in 2017 to USD 1,421.7 Million by 2023, at a Compound Annual Growth Rate (CAGR) of 50.3% during the forecast period. The base year considered for the study is 2017 and the forecast period is from 2018 to 2023. The major objective of the report is to define, describe, and forecast the process analytics market size by process mining type, deployment type, organization size, application, and region. The report provides detailed information on the major factors (drivers, restraints, opportunities, and challenges) influencing the growth of the market. The report attempts to forecast the market size with respect to the 5 key regions, namely, North America, Europe, Asia Pacific (APAC), Middle East and Africa (MEA), and Latin America. The report strategically profiles the key market players and comprehensively analyzes their core competencies. It also tracks and analyzes the competitive developments, such as joint ventures, mergers and acquisitions, and new product developments, in the market. 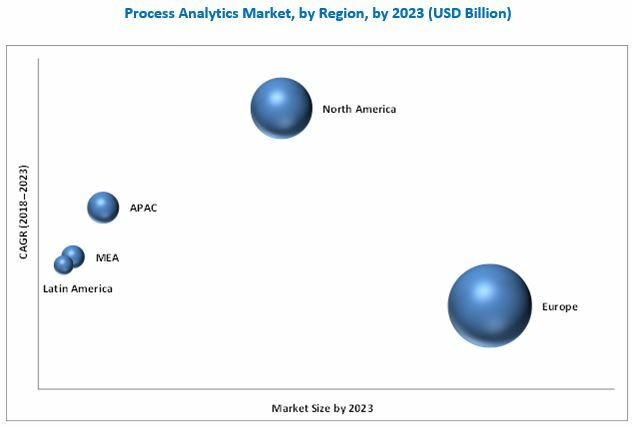 The process analytics market includes various vendors providing process analytics solutions and services to commercial clients across the globe. The major vendors, such as Celonis (Germany), Fluxicon (Netherlands), Icaro Tech (Brazil), Kofax (US), Lana Labs (Germany), Minit (Slovakia), Logpickr (France), TimelinePI (US), Scheer (Germany), Monkey Mining (Netherlands), Worksoft (US), Puzzle Data (South Korea), QPR Software (Finland), Cognitive Technology (Malta), Signavio (Germany), SNP (US), Your Data (France), Process Mining Group (Open-Source), Software AG (Germany), Fujitsu (Japan), CA Technologies (US), Process Analytics Factory (Germany), StereoLOGIC (Ontario), Intellera (Canada), and ProcessGold (Netherlands), have adopted partnerships, agreements, and collaborations as the key strategies to expand their market reach. The study answers several questions for stakeholders, primarily, which market segments to focus on in the next 2 to 5 years for prioritizing efforts and investments. Further breakdown of the process analytics market in the US and Canada into process mining type, organization size, deployment type, and application. Further breakdown of the market in the Netherlands, Germany, and UK into process mining type, organization size, deployment type, and application. MarketsandMarkets expects the global process analytics market size to grow from USD 185.3 Million in 2018 to USD 1,421.7 Million by 2023, at a Compound Annual Growth Rate (CAGR) of 50.3% during the forecast period. The major growth factors for the market include the implementation of digital transformation that is driving users’ awareness for analyzing and understanding business processes, and the advent of the algorithmic business. Moreover, collaborations between process analytics and Enterprise Resource Planning (ERP) vendors, and the rise in the implementation of the task level automation are also driving the market growth. The process analytics market is segmented on the basis of process mining types, organization size, deployment types, applications, and regions. In the process mining type segment, the process discovery subsegment is expected to account for the largest market share. In the process discovery subsegment, the process data from logs are extracted, cleaned, and formatted for analysis. The data mining software, along with Artificial Intelligence (AI) and machine learning algorithms are used to mine the extracted and cleaned data to create data-driven process models. Moreover, in the process mining type segment, the process conformance subsegment is expected to show the highest growth rate. In the process conformance subsegment, the data mining software is used for process conformance checks, wherein the event logs are checked against ideal processes. The process mining software converts the event logs into a process model and checks them against ideal and pre-defined processes. Hence, deviations between the derived business process model and ideal processes can be diagnosed, and non-conformance can be highlighted and visualized. The large enterprises segment is expected to account for a larger market share in the process analytics market by organization size. This growth is attributed to the fact that process analytics solutions enable enterprises to monitor and regulate complex business and Information Technology (IT) processes. In the deployment type segment, the cloud subsegment is expected to grow at a higher CAGR during the forecast period. This growth is attributed to the fact that the cloud subsegment enables organizations to manage their costs and helps them ensure improved business agility. The business process segment is expected to account for the largest market share in the process analytics market. The process mining software provides data scientists and analyst’s with enhanced situational awareness for the daily business processes of enterprises. Moreover, the software provides intuitive, graphical, and visual representations of the enterprise’s business processes. Furthermore, data-based process discovery enables enterprises to represent their business transactions as a process diagram. Besides, the customer interaction segment is expected to grow at the highest CAGR during the forecast period. The process analytics software enables enterprises to trace the entire customer journey and provides insights into the consumer purchasing patterns. Moreover, it enables enterprises to estimate the stage where consumers are on their journey, which helps the marketing team take more effective and efficient marketing decisions. 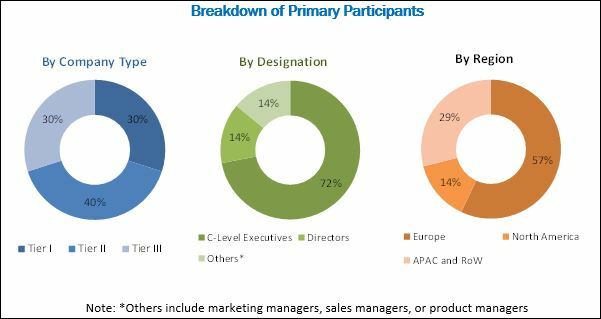 Europe is the largest contributor to the process analytics market, due to the widespread acceptance of innovations and the upcoming analytics technology among the large numbers of vendors operating in the region. Germany and the Netherlands are the top countries contributing to the market in Europe. Along with these countries, several other European countries are also incorporating the process analytics software into their existing analytics portfolio to receive quick and actionable executive insights to keep pace with their analytics-driven competitors in the other regions. Enterprises in the European region are adopting the advanced process analytics software to fulfill the growing needs for data-driven decision-making across all verticals. North America holds the largest opportunity in the process analytics market. The region is expected to offer a huge market scope for the adoption of the process analytics software during the forecast period. Commercial entities and government organizations have expressed an interest in implementing process analytics solutions over the traditional Business Process Management (BPM) solutions. The US is expected to register the higher adoption of the process analytics software during the forecast period. Availability of the open-source software is expected to be the major restraining factor for the growth of the process analytics market. However, the recent developments, new product launches, and acquisitions undertaken by the major market players are expected to boost the market growth. The study measures and evaluates the major offerings and the key strategies of the major market vendors, including Celonis (Germany), Fluxicon (Netherlands), Icaro Tech (Brazil), Kofax (US), Lana Labs (Germany), Minit (Slovakia), Logpickr (France), TimelinePI (US), Scheer (Germany), Monkey Mining (Netherlands), Worksoft (US), Puzzle Data (South Korea), QPR Software (Finland), Cognitive Technology (Malta), Signavio (Germany), SNP (US), Your Data (France), Process Mining Group (Open-Source), Software AG (Germany), Fujitsu (Japan), CA Technologies (US), Process Analytics Factory (Germany), StereoLOGIC (Ontario), Intellera (Canada), and ProcessGold (Netherlands). These companies have been at the forefront in offering reliable process analytics software to commercial clients across diverse locations.